Project Farmer’s Market capsule wardrobe collection released in March and what an awesome collection. Have you seen the lookbook yet ? So many ways to mix and match and suitable for a wide age range, appropriate for all seasons by layering and many options for both boys and girls. I sure love a pattern that I can use for both my kids. The idea of a capsule wardrobe is very appealing as it makes it easier to drop and add an item at a time as my kids grow which means I don’t have to sew/replace a whole wardrobe every season. I was lucky enough to test the Jonagold Jumper as part of the collection and love the versatility it provides. I love a pattern I can modify and the jumper fits the bill quite perfectly. The possibilities are endless. I used the upbeet tee pattern for under the jumper. The unique lines makes it the perfect tee for color blocking . The fit is very comfortable yet still perfect for layering, I appreciate the length of the shirt for underneath the jumper. This is the most recent one I made. Found this denim with flower embroidery border and knew this would be the perfect girlie jumper. I like to add dungaree buckles and buttons so we can adjust as she grows and that means we get a couple of seasons out of them. Our little town of Princeton, IL had the perfect mural for the collection. I used a vintage apple denim for my very first one and let me tell you my girlie has worn this quite a few times. This fabric doesn’t show dirt much so I don’t have to wash it as often which is always a win. I used eyelets and knots for this version. I love the look but it is harder to get undressed with them for younger kids if they were pants but works perfect when it is the dress version. This is my favorite one and my girl gets so many compliments on it. I modified it by adding pleats to the skirt and embroidered a butterfly on the front piece. The fabric is a light linen and the embroidery holds up so well with washes so don’t be afraid to embroider and wash items you have made. Signature week has arrived. If this is your first stop also head on over to Project Run and Play and check out all the other designers looks. For Signature I decided to incorporate a little of my personal style from each weekly challenge and then I challenged myself to use a lot of solid colors, very little print and still be bold just like I like it. My signature style very much includes Isabella’s style as she is the one I sew for most of the time and we both have about a 50/50 input into the thought process . We make a great creative team. My very favorite thing is when Isabella wears her mom- made clothes and people compliment her on it and she replies proudly ” My mom made it” We both like funky, a little fancy, but also very comfortable. She loves to look like a lady but she wants to be able to dig in the dirt looking like one. Signature for me means lots of colors, different textures and fiber content fabrics, Ankara printed fabric, fiber arts, layers, different techniques and more importantly ONE OF A KIND, my hope is to always stay true to my unique style, It should look handmade but not homemade. Can I draft a pattern? Yes, but I also love using patterns from my favorite Indie pattern designers and putting an ArtBella spin on it. This week’s colors are compatible with all the pieces from week one. I chose denim and solids a lot the season so most of the pieces can be worn with separates from different weeks. A good friend of mine mentioned that Bella reminds her so much of Punky Brewster and I completely agree, hence the title. THE DRESS: I love beautiful, rich colored hand embroidery and even though I’ve done hand embroidery on dresses before, I have never gone to this extent. Doing it for Project Run and Play presented the perfect opportunity. I made the design on paper first, cut out my bodice and transferred my design by tracing my paper design onto the dress with white graphite paper. The dress is made of a teal linen blend (it’s more stable than linen) and I used all my and Bella’s favorite colors of DM floss to embroider my design. Lots of chain stitching and then some french knots and satin stitches. I will not go into detail on how many hours I spend on this but it was pure joy to see the design come together. The LEATHER BLAZER – I knew this was going to be a challenge so I was ready for it. TIP OF THE WEEK – Goodwill stores are awesome leather shops. I look out for good quality XXL men’s leather jackets and buy them when I see them. It is much cheaper than buying leather, you reuse something and the leather is soft so it’s easier to work with. I could have just made a bomber which would have been a lot easier but I was looking for a short blazer that will not cover any poofy dresses and will sit just below her waist. I used the basic blazer pattern from Melly Sews, shortened it quite a bit, two double welt pockets on the bottom and added two more welt pockets on the chest with flaps. I made pintucks on a big piece of leather and then cut the top part of the sleeves ( this is one of my favorite features), added a hoodie lined with faux wool and the lining is a beautiful African vlisco that brings out the colors on the dress. I added a pleat to the lining back in the middle for movement and both the sleeves and jacket lining was attached by using an invisible hem done by hand and again like last week added my label and a leather loop for hanging the jacket up, metal buttons, buttonholes galore. The biggest challenge with leather is not that it is hard to work with but layers of fabric can become very thick, you can’t iron it which is horrible because if your mama taught you right you know you need to press after every seam sewn. My sewing machine is a powerhouse and I was very thankful for it during this sew. Leather needle is not optional but a must. There were a few times where I thought it was going to break but I managed to only break one needle. THE TIGHTS and the TEE: Bella don’t like tights and also not socks much, but she likes the socks I made for her in week 1 so I meshed the Flash leggings pattern and the cozy critter socks pattern to make the perfect tights. ( It’s made in an activewear knit which makes it super cozy and moveable ) The Tee is the Skiff tee also from Jennuine design, I narrowed it a little, color blocked it in most of the colors present on the embroidery on the dress bodice. The neckline has a double ribbing with two different color knit fabrics. The DENIM DUNGAREES: My girl loves these so much and it completed my Signature week look in a perfect way. I used the Loverall dungarees pattern for Petit a Petit Patterns ( it is available in the Project Run and Play Shop ) Just like with Jennuine design you might have noticed that I use Celina’s patterns quite often. The fit is great on my girl and I never have to make changes on fit after I have taken measurements. I drafted my own front bib and widened the pant leg in the bottom but the rest all stayed the same. I used lots of denim thread for topstitching and made free motion hearts on all three pockets. Bella calls them maze hearts and likes to follow the thread path with her finger. Just like I recommend using a leather needle when sewing with leather, the same goes for denim. After I made the dress I asked her what item she really wanted and she asked ” Mom, can you make jeans, you know those ones with the straps?” She has outgrown her favorite pair from Target just this past summer so I wanted to make her a plain pair that she can just wear and she can dress it up with the shirt I made in week 2 tor just a t-shirt. I chose the leather blazer as she can wear it for both casual and fancy. You can see the tights underneath which makes it so ideal for winter. She doesnt have socks on but with the tee and tights under the dungarees everything is covered. South Africans do love to celebrate and it almost always include a braai (barbeque) with lots of meat and good friends around the fire. Is there anything better to celebrate than FREEDOM? Freedom day in South Africa celebrates freedom and commemorates the first post apartheid elections held on that day in 1994. The elections were the first non-racial national elections where every one of voting age (18 years and older) including foreign citizens permanently residing in South Africa, were allowed to vote. The Jumpsuit ( which she can rock at any Barbeque ) – South Africa went from a 3 color flag to a very vibrant 6 color flag in 1994 to represent the people as a new nation so for my jumpsuit I used a golden yellow (South Africa is known for gold , in fact my dad worked in a gold mine all of his life and I grew up in a miners town) , white and black linen. If you look at the flag you see where the two green lines from the outer corners joins and become one ( which represents the people from South Africa before apartheid and the togetherness as one after 1994) I replicated the symbolism of that in the bodice with the color blocking. To add a bit of blue I added denim. Patterns used was the Friday dress by Petit a Petit and the Graphite trousers by Made by Toya. (two great patterns collided) I used the short sleeve version and for the pants I took away the pleat and widened the bottom legs quite a bit. I finished the whole suit and my girlie loved it, but it felt very boyish to me with the sleeves so a week after finishing it, I decided to just chop them off and used the gathering method that is used in the LOL swing top to make the fit perfect around the shoulder blades. There is snaps so she can get it off easy at school and belt loops for THE BELT the belt,the belt, how I love the belt. I think it’s my most favorite part. I hand embroidered( Hand embroidery is very popular amongst South African women) those colorful geometric freehand shapes on black linen over the past ten days, during piano-, dance lessons and netflix and I am so glad I started early enough and finished. Fully interfaced so it goes through the buckle and stays in and it is still easy for her to get on. The Jacket – Oi this was my challenge piece but my non-negotiable piece. Bella saw and fell in love with a navy blue adult version at the J. crew outlet and I thought how awesome a velvet green and gold bomber jacket would be to go with this week. ( If you earn National colors for Rugby in South Africa you earn your green and gold jacket) After sanctions was lifted in 1995 South Africa played their first Rugby World cup in a very long time, South Africa hosted and won the Rugby World Cup. It was the biggest celebration I have ever witnessed. I searched far and wide to get a non-stretch green velvet and finally found some on fabric wholesale direct. I hoard African fabric like its nobodies business and these zebras was perfect for lining. I should have just used a pattern but I wanted a specific look so I used my block to draft and cut the fabric. Fully lined, metal zippers with the pockets and I could not for the life of me find ribbing to go with it for the collar (If I can’t find anything in local shops , my next option is always second hand clothing stores but couldn’t find anything there either) and had a genius idea of using gold and black wide elastic and it worked out brilliantly. I used the moto jacket pattern by Jennuine design to check my fit and proportions, struggled with that zipper on velvet about a thousand times but succeeded, added my label and a hook to hang it on and voila. The skirt was a self-drafted 10 panel skirt, with flat panel in the front and elastic in the back waistband with leather belt loops WITH POCKETS (YAY) and horse hair braid in the hem. Again the fabric was some ankara out of my stash with the perfect colors to represent the flag. Blue was missing so I made a fitted blue Shirt to match. I also finally perfected the flounce I have been wanting to make on the shirt ( I’ll have to make a tutorial for that) and even changed all my serger thread to royal blue to make the lettuce hem around 2 layers of flounce and my insides all were blue. Accessories – I got so inspired with this outfit that I made some leather and seedbead earrings and bracelet/necklace to compliment the outfit ( beads are very popular to use in crafts as well as hand embroidery amongst South African women) Made her a head wrap, watched a couple of youtube videos on how to get the headwrap on and she was ready to take pictures. This has been the hardest outfit to keep clean and not have her wear it outside to spoil the reveal so now she can finally wear it . You can find more pictures on my blog here I hope this outfit makes you as joyful to look at as it does me. Isn’t it awesome and magnificently beautiful how the trees’ leaves just start to change colors and then let them go, and next spring they grow those beautiful green leaves again?! No matter if it was a bad year, next year is a brand new start. I’ve had the fall rust colored fabric I used for the shirt in my stash forever ( 4 years maybe?!) but that’s where I started . My vision was a very chic blouse that was princess-style cut with the three panels in the front and instead of the seam lines to go in the direction of the armpit, I directed them to the neck , left a bit open so my girl can get it over her noggin and added a neck tie collar, puffy sleeves with wide cuffs around the wrists with buttonholes (and I didn’t swear) and buttons. The layer-shedding dress in my head was color blocked panels to resemble the leave color change – in linen fabric ( love the crispness of linen just like fall ) I had some in my stash but had to purchase some more colors from a local shop. For each challenge I try to incorporate something creative,functional and something that requires some skill. So for the layer shedding effect , I added two open ended zippers so it can shed the skirt just like trees looses their leaves. For this challenge the whole outfit was self-drafted and adapted from a single basic bodice block. I had to make sure the two zippers will fit in correctly in the layer so there is no gap where they meet on both sides and added bias binding to finish it off on the inside. Let me tell you the zipper was not as hard as getting those bottom three layers to match up and still have beautiful matching sides but I channeled my inner Tim Gunn and persevered. The way the colors are matched was not exactly how I wanted it in order but I had to work with the amounts of fabric I had and made it work. TIP of the WEEK – We know we have to pre-wash fabric but sometimes we don’t because we get so excited. If you work with different fabrics in one garment, like this dress and especially the heart shirt I made for week 1 -WASH those fabrics before hand. The fiber content of different fabrics shrinks in different ways, If you want your garment to last, pre- wash at least once, for the heart shirt I washed all my fabrics twice and tumble dried on high so it can get all the shrinking done before you cut. At this stage the multiple layering process was born. I also made some fall colored pants in a love soft DBP for a more casual look. This outfit solves our issue of the girl who loves a dress in church and at events and restaurants but immediately dresses in pants when we get home. For our photo shoot she just put everything on at once and dropped layer by layer. Timing for some fall colored leaves couldn’t have been more perfect. We headed out to Warnecke woods right here in Princeton, IL and also some at home as I forgot to do the shirt with vest and pants and Wrinkles wasn’t ready yet with out first photoshoot. Wrinkles’ dress is made of all the scrap fabric and some leather scrap from the earrings, metal zipper like Bella’s dress and a off-set neck tie collar. I made some leather earrings (which I am keeping for myself) and a soft wrap headband to accessorize. I only have one child in kid-age clothes so to show you all the looks I had to clone her (Thank you Photoshop) Even with pulling off layers we managed to get in and out of those woods in 10 minutes. On top of all these possibilities, I know that when summer swings around I will add a tank to wear under just the dress and then as she grows just the dress. I love to sew dresses that can be worn with something underneath so we get at least 2-3 years out of it. The tulle skirt she already wore under another long dress so I know we’ll use that one plenty . Patterns used: the shirt and the bodice of the dress I used the Building block Dress by Oliver and S ( This is an awesome book to start with your own designs or you don’t want to draft your own pattern. Skirts – self-drafted. Math is everywhere and I try to remind my kids every day. I can’t tell you how many times I’ve looked up how to calculate the radius of a circle. Pants: do you have the Graphite Trousers pattern by Toya yet? GET IT – My girl loves the fit. I used the top half and used leggings fit for the bottom part. My fabrics came from Cali fabrics who sponsored a big chunk of what I had to purchase, some out of my stash, Joanns and wholesale fabric direct. And now for an overload of pictures to enjoy. Bella is such a nature girl and especially loves to be in it in a twirly dress so the picture taking for this one went extremely smooth. Here you can see how the front seam lines turns inwards towards the neck. Wrinkles is digging her new outfit. I took these pictures on Halloween and I can almost not believe how quickly it has changed and gone brown in 5 days so I am glad it worked out like it did. The world through Rose-colored glasses….. The Process – The ribbing of the jacket was our color inspiration. When I pulled the ribbing out of a package a while back, she immediately grabbed it and exclaimed ” All my favorite colors all in one” , so we went from there. The Shirt was my first item and my design and then it just flowed. My mom made this amazing satin ribbon pillow when I was just a little girl that she entered into a competition and I can still picture its’ beauty in my head so for the heart I used the colors from the ribbing in fat quarters and weaved them on a white linen heart and did the inlay on the shirt ( it sounds so easy right now 🙂 ) She wanted a shirt type vest so I did just that. In the summer she can wear it as is and in the winter she can either wear a jacket or wear a shirt underneath. She really wants all the pencil skirts but with her activity level it just isn’t feasible so I went for a denim pleated skirt ( lots of pins and ironing) It has all the goodness you can possible want from a denim item.- pockets and more pockets, a zipper, topstiching and elastic in the waistband. Well-fitted around the hips with lots of pleats for movement and denim goes with EVERYTHING! Tip of the day: buying denim needles and denim thread is worth it. The jacket had to have a zipper so she can pull it on and off for school or dance or crossfit or soccer, it had to bright and fun to match her personality, hoodie to save the buns from the wind and pom poms on leather strings to play with if she’s bored, minty striped pockets to keep her hands warm (Honestly I want that jacket for me) The Socks and Wrinkles’ outfit – Wrinkles is Bella’s best Lovie that she found at a flea market 4 years ago and they are almost always together so I drafted her a little t-shirt with rainbow applique and a matching pleated skirt with a hole in the back where her tail fits through. Dots, hearts and rainbows are popular in Bella’s sketches so we went for gold htv dots on super soft DBP and coral ribbing for the socks. Pictures were taken in Ottawa, Il in front of our favorite painted wall. I thought the kid playing marbles was very suiting for this challenge. If you’ve never sewn along or maybe you have but stopped, please join – It is so much fun. You will meet amazing people that share your love, hobby, creativeness and will provide an awesome support system. Here is the heart process. It was at night so the pics are not perfect. For the heart the shirt is fully lined in the front so there are no exposed seams. My name is Carin and I live in Princeton, Il with my hubby and 2 kids where I am stay-at-home mom as well as wearing many other hats. We moved here a year ago via a few states and 3 continents. Interesting fact about me is that I am more African than American. I was born in South Africa and for generations my family has become very rooted there. I love that I can be both a South African and American at the same time. My roots and change over years has grown me into the creative person I am today and I am very privileged to be part of this Project Run and Play season. I have been sewing along since 2014 some years more than others but always loving it. My love of Sewing? The phrase “I got it from my Mama” rings very true here. I grew up in my Mom’s sewing room. 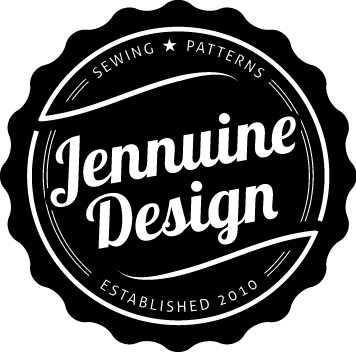 She is a self-taught amazing seamstress that went from sewing for herself, us and many other people into teaching sewing classes out of her garage. I have a B.Sc in Home Economics and even though the art of sewing,designing etc. was a huge part of it, my love and skill comes from my wonderful Mom. Most of my sewing in my early years was just sewing for myself using patterns from fabric shops. In College I mostly did sewing for myself and some formal dresses for some of my dorm mates. Then “ adulting “ happened and fast forward 10 years and some, I started sewing again, just a little in the beginning and when my youngest daughter turned 1, it turned into my full on passion and therapy . There is something so beautiful about creating. If I am not sewing, I am probably thinking of what I am going to sew next. Project Run and Play sewalongs played a big role in me getting back to sewing and designing. I loved the idea of “themed” sewing to build on my own skill as well is building my daughters wardrobe. My style includes lots and lots of color, I love technique and always try to improve on my own. I love old-fashioned sewing with a modern twist. I view every item I sew as a piece of Art – from the moment I put it together in my head, to picking out fabrics, sewing and pressing the very last hem. When designing I either use my own block I made with my daughter’s measurements via the Aldridge method but mostly I use patterns from indie pattern designers that I love and who I know encourages flipping their pattern. I hope to use as many of my favorite Indie pattern designers as possible during this season with my own spin. I am very excited about sharing my craft with you and seeing everyone else create. Hopefully with the next round of Project Run and play , I can get my act together and sew along for all 4 weeks.